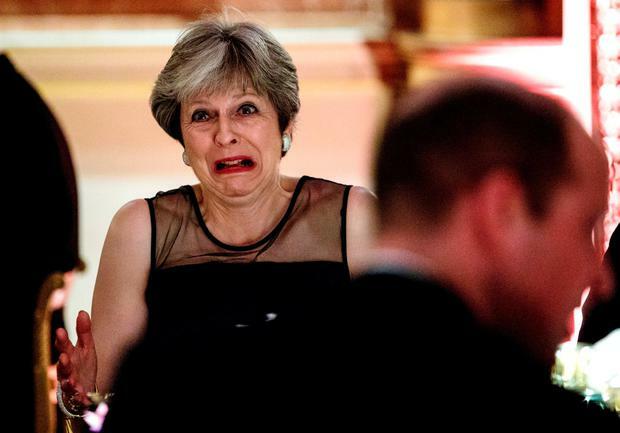 Fresh doubts have been raised over Theresa May's hopes for a deal on future relations with Europe, after reports that her proposals for the Irish border have been comprehensively rejected in Brussels. One report of a meeting this week between Britain's lead negotiator Olly Robbins and senior EU officials suggested that the Prime Minister's plans for avoiding a hard border with the Republic were subjected to "a systematic and forensic annihilation". The Daily Telegraph quoted unnamed EU diplomatic sources as saying that the Brussels officials delivered "a detailed and forensic rebuttal", making clear that "none of the UK customs options will work - none of them". In a response this morning, a spokesperson for the UK's Department for exiting the EU said: "We have been clear that we will protect Northern Ireland’s place in the UK internal market". The report came as Britain's former ambassador to the EU, Sir Ivan Rogers said that UK hopes of finding a technological solution to the border issue were regarded as "a fantasy island unicorn model" in European capitals. A UK Government spokesman insisted that Britain was "continuing an intensive work programme to engage" on all the scenarios set out in the Joint Report agreed in December by Mrs May and European Commission president Jean-Claude Juncker. But a version published by the EU in February contained only the third "backstop" option, effectively drawing a customs border down the Irish Sea, which a furious Mrs May said "no British Prime Minister could ever agree". On Wednesday, European Council president Donald Tusk warned that there will be "no withdrawal agreement and no transition" without a solution on Ireland. According to the Telegraph, Mr Robbins was also warned that Brussels needs "full compliance" with EU rules on goods and agricultural products in the whole of the UK - not just Northern Ireland - if customs barriers are to be avoided. Responding to the Telegraph report, former Treasury permanent secretary Lord Macpherson tweeted: "EU's position on Irish border so predictable. UK sold pass by conceding 'backstop' in December, inviting EU to hold us to it. #badbusiness". And he added: "The Brits are therefore focused above all on Option B - the technological solution. That, candidly, from everything I've heard from various places is still viewed as a bit of a fantasy island unicorn model. Meanwhile, The Times reported frustration within the Cabinet over delays in drawing up the Government's plans for immigration after Brexit. But the paper quoted one unnamed source as saying Ms Rudd seemed to think she could "take as long as she likes", and said an unnamed "ally" of Work and Pensions Secretary Esther McVey had said: "We're eager to get on with it"